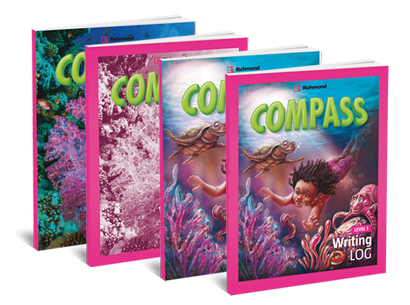 Compass is a brand new 6-level elementary school language arts program specially written to be used in countries where English is not the official language. Its modular and flexible organization of components offers teachers and students a distinct language learning experience that would increase students’ cultural awareness and foster their development of thinking skills. Presenting a unique blend of ESL and EFL methodologies and standards, Compass becomes the language arts program students will love using to meaningfully learn the language and carefully prepare themselves to sit for any international language examination. prepare themselves for Cambridge YLE, KET for Schools and PET for school’s examinations.